Hannah Connelly is plunged into a nightmare when she learns that Connelly Fine Antique Reproductions, the family business founded by her grandfather, has been levelled by a huge explosion. The ashes reveal a startling and grisly discovery. Could the explosion have been deliberately set? And what was Kate, Hannah’s sister and a highflyer in an accounting firm, doing in the building in the middle of the night? With Kate lying in a coma in hospital, it is now down to Hannah to discover what truly happened. But little does she know that someone will do anything they can to prevent Kate regaining consciousness. Will Hannah find out the truth before that person kills to save himself? Mary Higgins Clark is the author of thirty-one suspense novels; three collections of short stories; a historical novel, and a memoir. 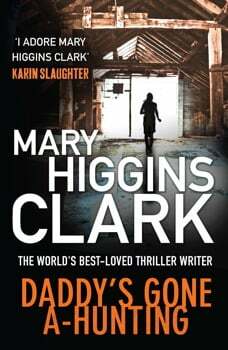 She is the co-author with her daughter, Carol Higgins Clark, of five holiday suspense novels. Mary Higgins Clark's books are world-wide bestsellers. In the U.S. alone, her books have sold over 80 million copies.